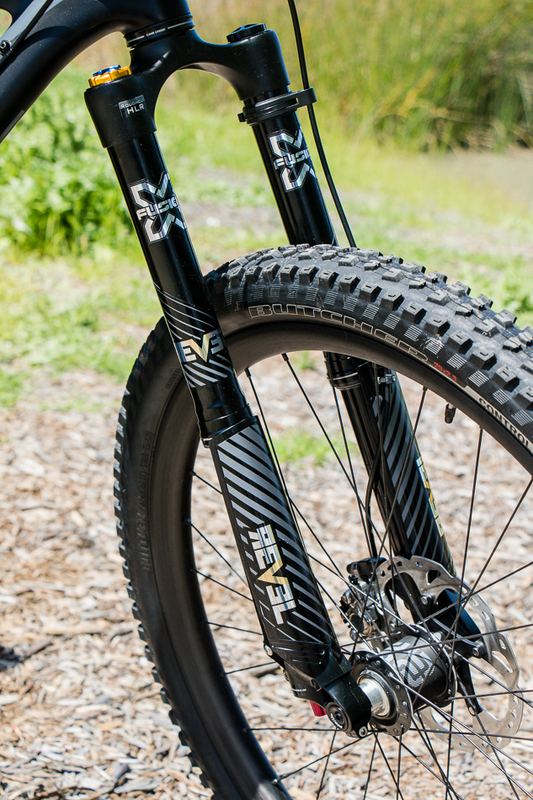 After three years in development and several prototype iterations, X-Fusion's inverted Revel trail and all-mountain fork is ready for market. The first run of 200 forks will be available in late May, and will be competitively priced among other premium options at $1,000. Inverted dual-crown forks have existed for years, utilizing a stiff thru-axle and two triple-clamp crowns to prevent the fork from twisting. Likewise, dirt bikes are able to run inverted forks because manufacturers don't have to worry too much about weight: They overbuild the dual-crowns, tubing and axles to handle the torsional forces. 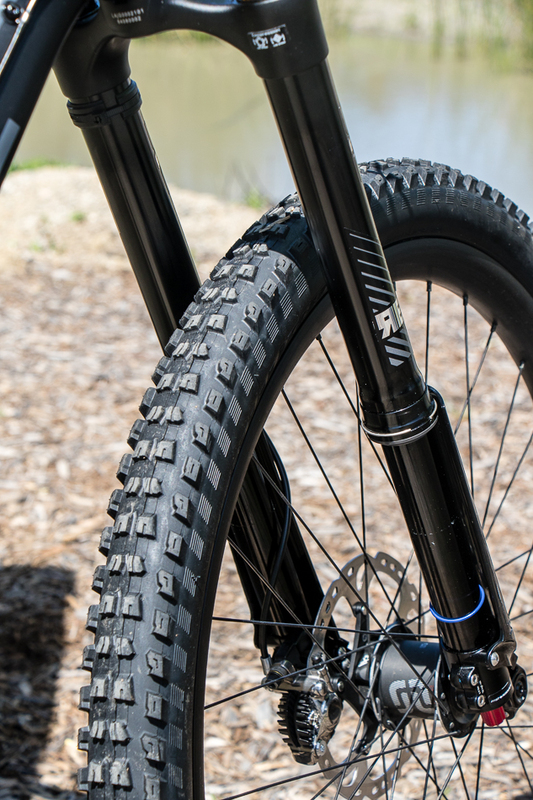 Bicycles don't have the luxury of power on demand, so keeping weight down while making the chassis robust enough for aggressive riding is the challenge, and thus far no single-crown trail fork has risen to it. Why bother turning front-suspension design on its head? On ‘regular’ single-crown forks there's an arch in the lower casting, which, along with the axle, keeps the front end torsionally stiff for precise handling. According to X-Fusion general manager Joel Smith, the junction where those stanchions are pressed into the crown is the weakest part of the fork and receives the most stress. The promise of the Revel's upside-down design is a larger 48-millimeter tube at that weak point. The potential performance benefits of an inverted design are many: The seals and bushings maintain lubrication more consistently because gravity keeps the fluid sitting on top of the seals as the stanchions slide through the stroke. Also, moving the unsprung weight of the lowers and lubrication fluid off the axle has the potential to give the front end the sensation of feeling lighter and more agile. In this theory, the damper is then free to handle terrain features coming up from the ground without having to address the mass attached to the movement of the front wheel. Finally, while torsional stiffness has always been a challenge, inverted designs are inherently very laterally rigid. The Revel project was spearheaded by Smith, who was also behind the single-crown Manitou Dorado–a promising design that never escaped the the stiffness-to-weight-to-manufacturing cost trap at the time. So how did X-Fusion finally pull it off? The answer lies in the patented Keyway system, which consists of trilateral slots inside each of the stanchions that keep the tubes from twisting. The Keyways system removes the need for extra mass at the axle or crown for stiffness because the stanchion cannot rotate inside the upper tube. The Revel prototype first made news a few years ago, and although the fork appears very much the same on the outside, it's been completely redesigned from top to bottom. 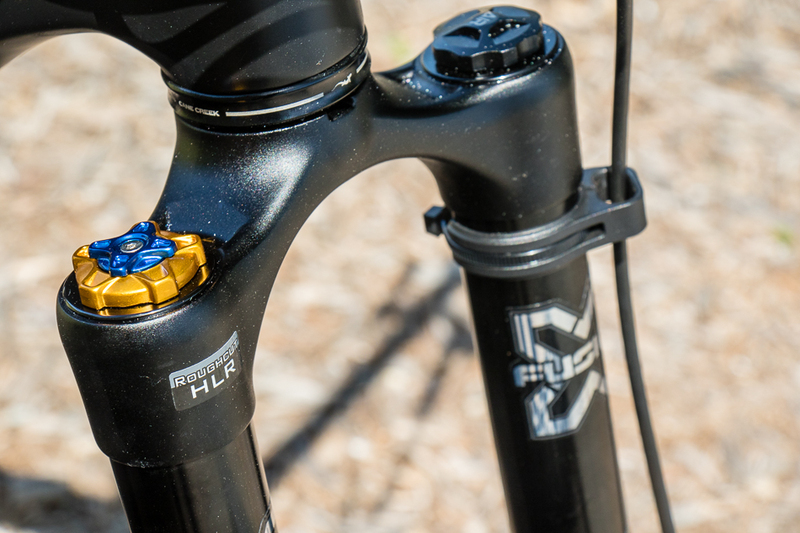 It now features the X-Fusion Roughcut HLR bladder cartridge damper as well as dedicated offsets for 27.5 and 29 forks. 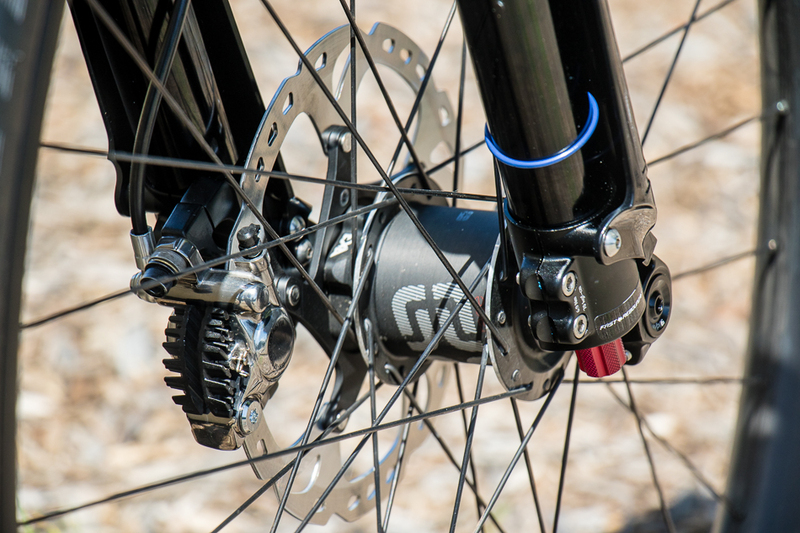 Along with the new damper, the Revel utilizes a 20mm thru-axle and gets externally adjustable high- and low-speed compression settings. I'll be getting my hands on the new Revel in coming weeks to see how it stacks up against traditional forks. Stay tuned for a full review.